If you’re thinking about tying the knot and want to keep true to your faith-based values, there are some tips you’ll want to know. You can plan a Christian wedding that is still fun, festive, and memorable. Consider the tips below to enjoy the wedding of your dreams. Since many marriages today end in divorce, you’ll need to find a counselor that’ll get you and your soon-to-be spouse on the same page. If your faith means a lot to you, take the time to search specifically for a Christian wedding counselor. Many states require you to get pre-marital counseling prior to tying the knot. It doesn’t hurt to get some couple’s therapy whether your state requires it or not. Once you have found a counselor that you both feel comfortable with, get some price estimates. You can expect to pay between $75 per hour and $150 per hour on professional counseling. In planning out the most luxurious wedding, many people lose the love in it all. Rather than allowing that to happen, you need to form new bonds and connections. One way to appreciate and love them is to write out your vows well in advance. 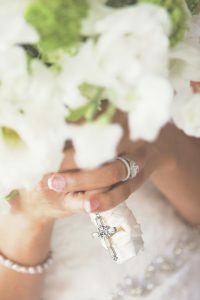 These vows will affirm your love and give you the charge that you need to make it through a potentially stressful wedding planning process. To make sure that your wedding becomes a reality, you’ll want to secure your venues as early as possible. Doing this not only locks in competitive dates, which book a year in advance, but to also find the best price deals. For your wedding, make sure to look around at different church websites. You’ll be able to not only check out the church decor but learn more about the pastor you want to officiate the wedding. Booking early is incredibly important if you’re planning a destination wedding. For instance, booking a wedding in Hungary means nailing down the location and arranging for travel, so the sooner the better. Staying on top of these details now reduces stress later. When you want to keep God first in your marriage, this begins with your walk of faith leading up to the wedding. Start a prayer journal and stay on one accord as you grow into the idea of being husband and wife. This prayer will carry you through the process and renew your mind and spirit to come together as one. Last, but not least — relax! Your wedding is supposed to be a time of joy and celebration, so make sure you don’t sweat the small stuff. One way to keep sight of the big picture is to plan out your honeymoon. Find the hotels, sights and tourist attractions in the area and let that drive you as you undergo the process of planning your Christian wedding. We’d love to get your thoughts. Leave a comment below!